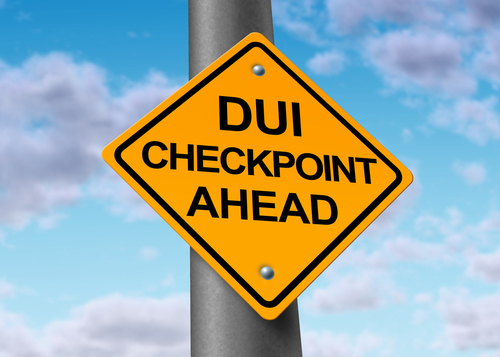 If police fail to follow the strict rules associated with setting up and running DUI sobriety checkpoints, any DUI charges from the checkpoint can be dropped. In order to ensure that the arrests and charges later hold up in court. Rule 1 – Setting Up the DUI Checkpoint: In order for a sobriety checkpoint to be set up legally, police have to pick a specific location for the checkpoint and can only have it setup for a discrete amount of time (e.g., from 9 pm to 2 am). If the cops don’t have a discrete location and timeframe for their DUI checkpoint, then any DUI arrests made at that checkpoint can be dismissed with the help of an experienced DUI defense lawyer. Rule 2 – Operating the DUI Checkpoint: In order for the sobriety checkpoint to be operated legally, police have to have a specific, nondiscriminatory method of stopping cars and talking to drivers. For example, while cops may choose to stop every car, they could also choose to stop every other car, every fourth car, etc. If they violate the chosen method because, for example, they think that some driver looks suspicious, any DUI arrests that come out of that checkpoint can be dropped later. Rule 3 – Changing the Rules of Operating: Police operating DUI checkpoints are allowed to change their methods of stopping vehicles and questioning drivers as long as they have a legitimate reason to do (e.g., because traffic is backing up or the weather takes a turn for the worse) and they document the time and reason for making this change. Facing any type of criminal charges can be both scary and stressful, as a conviction could cost you your reputation, your career, your family and even your freedom. If you or your loved one has been arrested for and/or formally charged with any crime, Christopher Griffin wants you to know that he is ready to immediately start providing you with the strongest possible defense against police and prosecutors – both outside and inside of the courtroom.